The busy port city of Tangier, Morocco is located at the western entrance to the Strait of Gibraltar. This historical city has a rich history and a truly multi-cultural vibe. It’s a bustling city that can be a little rough around the edges at times. If you are spending time there as a tourist, it is good to be aware of your surroundings. 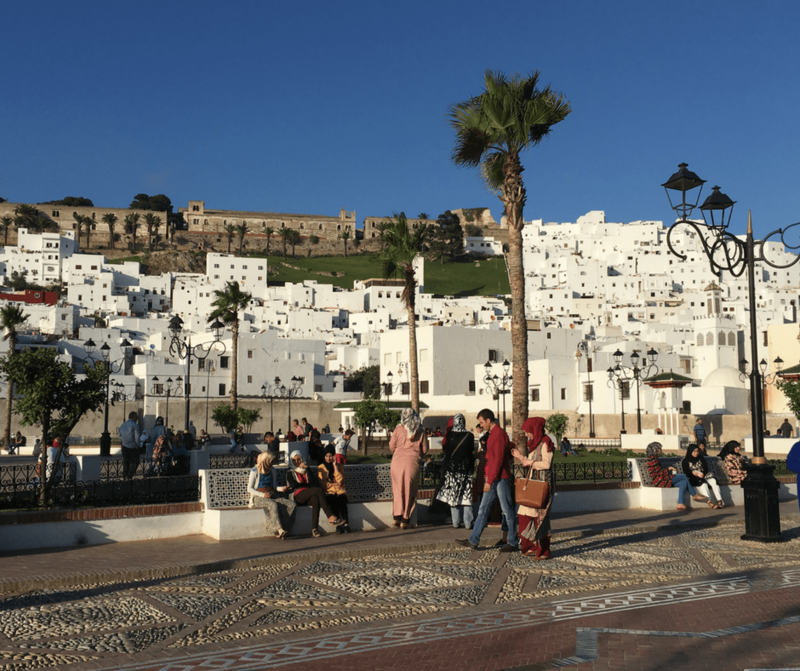 But that edginess is also one of its charms, giving Tangier a vibrant “real-ness” that you don’t always find in a place so popular with tourists and travelers. Is Tangier worth visiting? 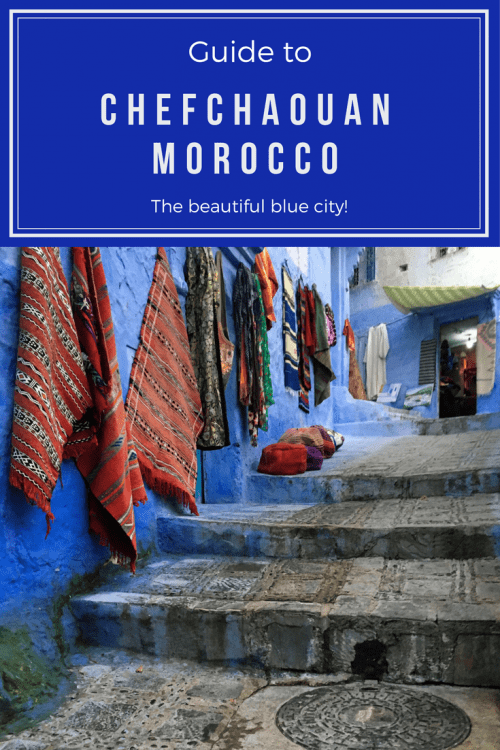 If you’re nearby than certainly it’s well worth a visit as it has a distinctly unique feel you won’t find elsewhere in Morocco. However, if you won’t be near the city it probably isn’t worth traveling to see. If you’re wondering how many days in Tangier you should plan consider what you may want to do. 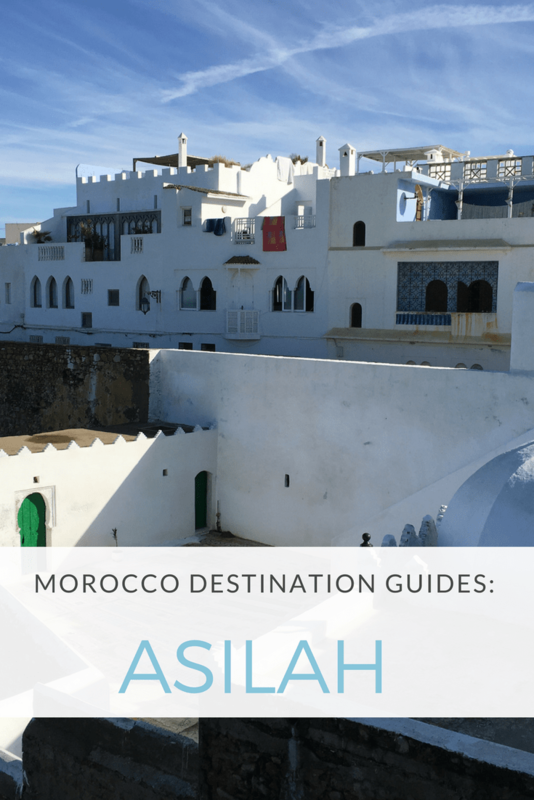 Will you use it as a base to explore surrounding areas like Asilah, Tetouan, and Chefchaouan or will your journey go onwards? One to two days is typically enough time to see the sights of the city. Even though Tangier has a less than rosy history, things have changed in recent years. Wondering if Tangier is safe to visit? It’s no less safe than any other city in the country – or region for that matter. Moroccan police have increased security forces throughout the country in light of world events and much has been done in recent years to clean up Tangier and her image. You may encounter hassles from vendors but when it comes to crime, pickpocketing and petty theft are typically the most serious infractions seen. 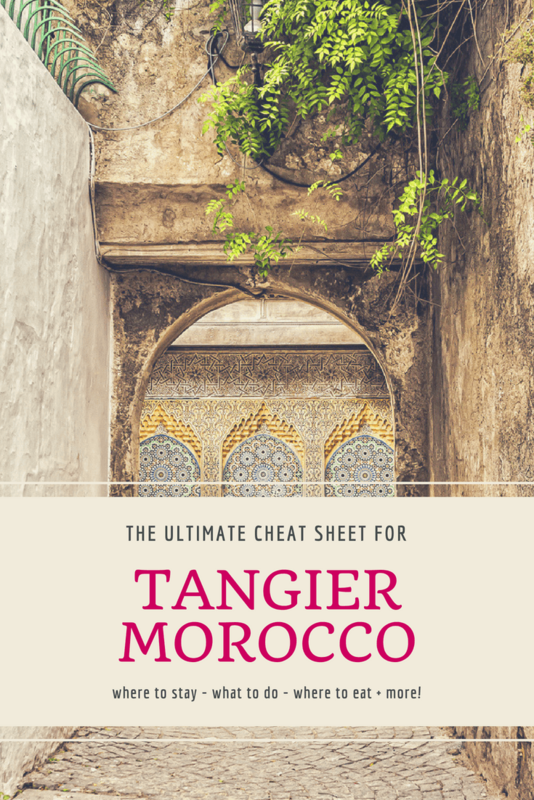 In order to make the most of your Tangier experience, I offer you this helpful guide! The history of Tangier begins before the 5th century BC with native Amazigh (Berber) tribes and Phonecian traders making landfall to trade. It has gone, and continues to go by many names; Tanja, Tingi, Tingis, Tanger and Tangiers. Tingis is said to be derived from Tingis, the daughter of Atlas in Greek mythology. It’s more likely however the word comes from the Semitic word tigisis, or harbor. Sometimes the city is referred to as Boughaz, “the bride of the north” by the Moroccans or “the door of Africa” for its strategic position. Berber tribes have lived in the area for centuries but the Carthaginians were the first outsiders to settle and colonize the area. The Romans and Byzantinians later controlled the area for various periods of time. It wasn’t until the year 702 that Tangier came under the rule of the Muslims. During the fervor of European expansion and colonization the city fell to the Portuguese and was ruled from 1471-1662 by them. For a brief window it also was held by the British having been given as a gift to the king in exchange for his daughters’ hand in marriage. 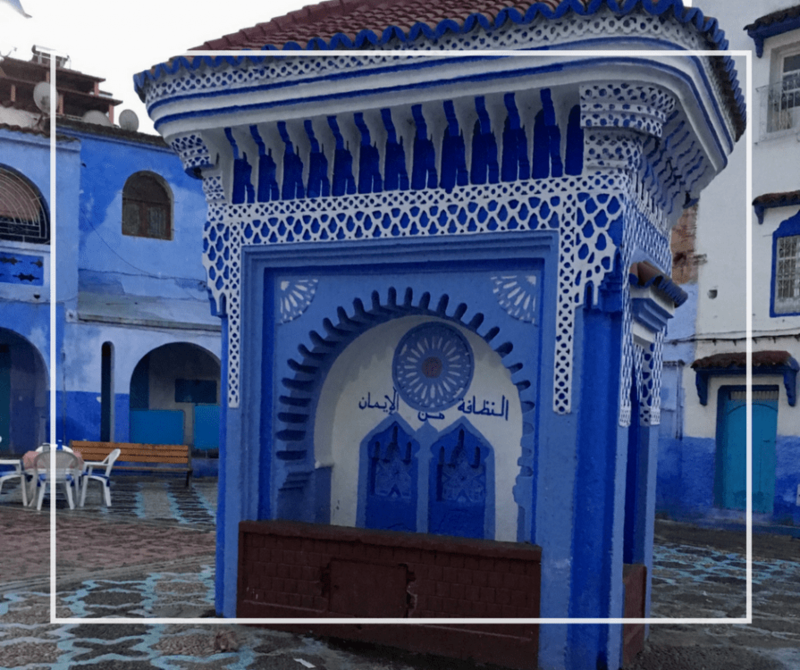 After the United States gained independence – Morocco was the first country to recognize their independence – they built the first US consulate in Tangier. 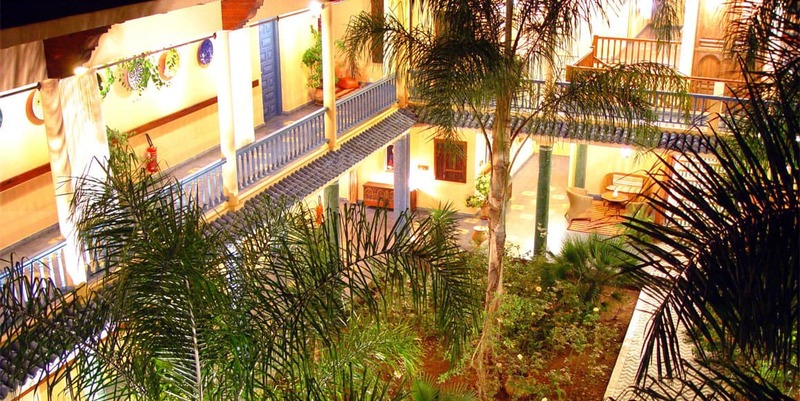 In 1821, the Legation Building in Tangier became the first piece of property acquired abroad by the new country. It was a gift from Sultan Moulay Suliman. At the beginning of the 20th century Tangier was already quite the multicultural city. An estimated 40,000 people lived in the city; 20,000 Muslims, 10,000 Jews and 9,000 (mostly Spanish) Europeans. While much of the country was partitioned beginning in 1912 between the French and Spanish, Tangier was a bit of a different story. In 1923 it became an international zone governed by the French, Spanish and British. World War Two was a very interesting time in Tangier. Due to its international status and the varied positions of the occupying countries. Spies, businessmen, writers, artists, intellectuals and all sorts of people showed up on the shores of Tangier for its mix of opportunity and live and let live policy found in few other places at the time. 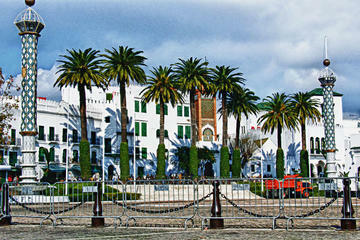 Tangier still has this allure however in 1956 it like the rest of Morocco became an independent nation. Rumor is spies still used it as an outpost during the Cold War. The Tangier airport (Ibn Battouta) handles over 1 million passengers a year. International flights arrive from Europe via airlines such as Ryanair, Air Arabia, Iberia, and TUI. Many major cities in Europe service Tangier including Paris, Brussels, Madrid and Amsterdam as well as smaller cities. 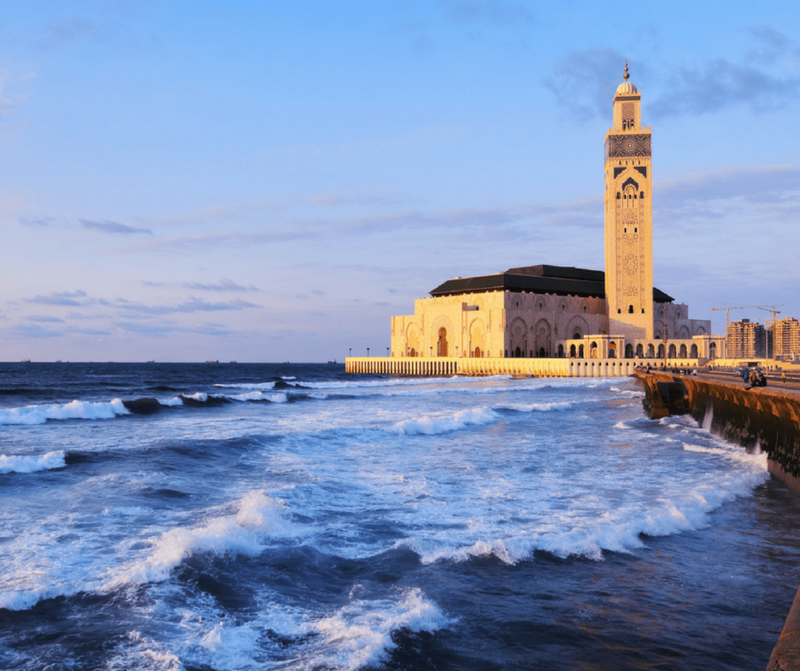 Domestic flights also are frequent from cities such as Casablanca, Marrakech, and Ouarzazate. One of the most popular ways to reach Tangier is by ferry. 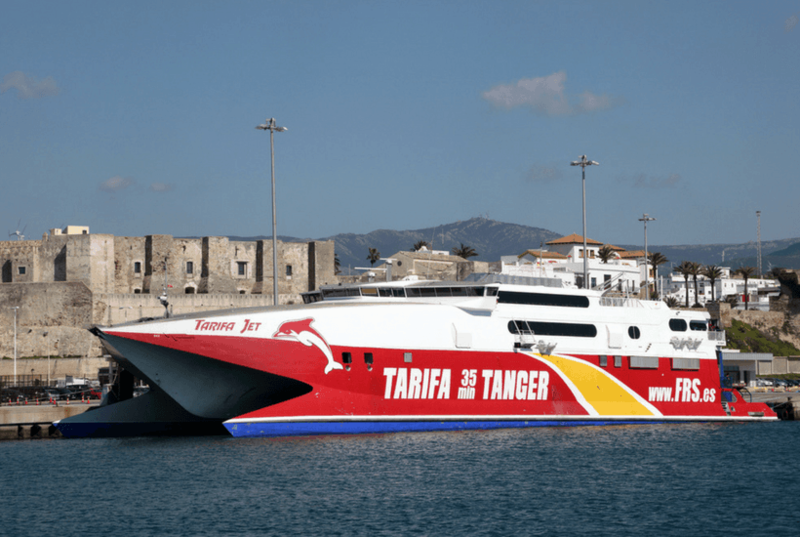 FRS ferries cross from Tarifa to Tangier and the fast crossing takes just over 30 minutes. Another route is from Algeciras to Tanger Med and is available on FRS or Acciona Transmediterrea. This crossing takes 70 minutes and the port is 30 km from the city of Tangier. Once weekly ferry service is available from Gibraltar to Tangier Med which departs Gibraltar on Friday evening and Tangier Med on Monday evening. This route takes 80 minutes. To cross you can prebook tickets online through sites like Direct Ferries or buy in the port before traveling. During high season it is advisable to book early to ensure space at the time you would like to cross. Tangier is the first (or last) stop on the train line. Many travelers use the train to reach destinations further south in Morocco. 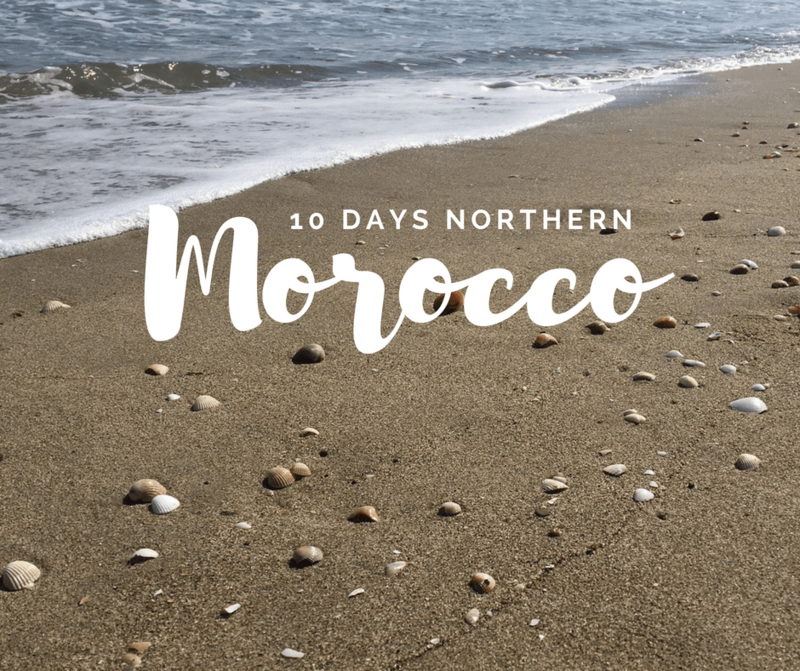 One of the most popular routes is the overnight Tangier to Marrakech train. 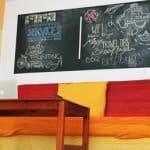 You can book a 4 person room with a bunk (either mixed or female only). You also can reserve just a seat in either first or second class. Be aware in second class there are no limits on ticket sold so you may be standing or squished. In first class every seat is assigned. There are two main types of buses that operate in Morocco; “public” buses and private buses. Public buses are generally used by locals going from place to place in more remote areas not covered by train service. Private buses, namely CTM and Supratour also go to some of those locations but are quite a bit nicer. You have the option to use either though navigating the public bus system will be very difficult if you don’t speak French or Arabic. Supratour and CTM have bus depot’s in most cities however, they often don’t run between destinations that have train service. So if you want to take a bus from Marrakech to Tangier you may have difficulty finding one. 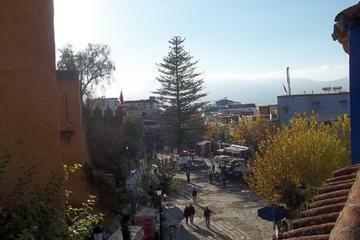 However, if you’re trying to get from Chefchaouan to Tangier it’s the way to go. Make sure to check timetables ahead of time as in some cases there is only one or two buses a day. Several Moroccan highways (and smaller non-toll roads) come to a head in Tangier. The N1 that runs north to south, the N2 and N16 are the three major highways. It’s very easy to reach Tangier by car though parking in and driving in the city can be more of a headache. 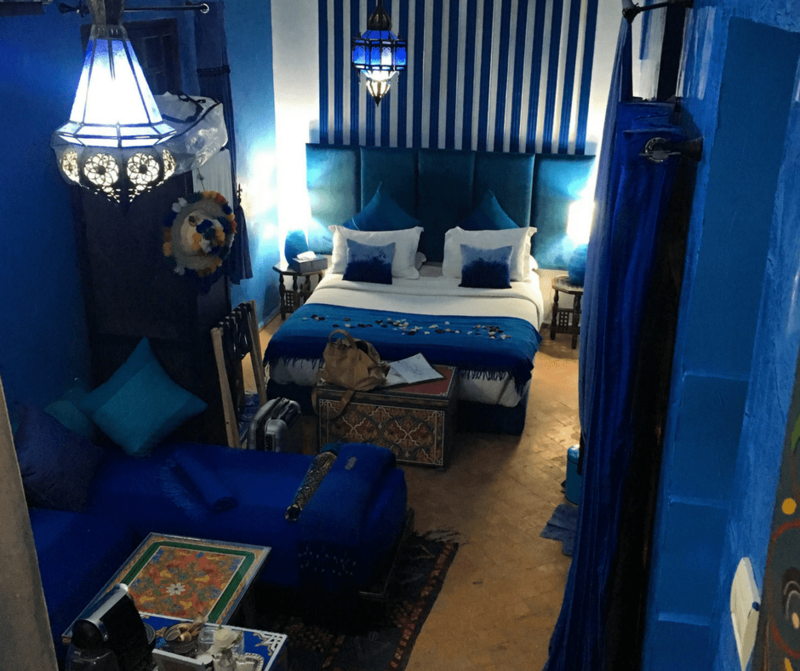 I’ve compiled a list of ten ideas for things to do when visiting Tangier. Many of these are fun options, even if you are only in town for one day. And if you’re visiting for longer, you’ll have ideas to keep you busy for days! One of the most popular locations just outside of Tangier is the beautiful Cap Spartel and the Caves of Hercules. Located just nine miles outside of Tangier, Cap Spartel sits at the entrance to the Strait of Gibraltar, about 1000 feet above sea level. The Caves of Hercules are located below the cape. The history of the beautiful caves is rich with intrigue. At one point, the caves were mined, which expanded them beyond their original size. There are signs that the caves were occupied in Neolithic times, and according to mythology, the Roman God Hercules once slept here. No matter what you believe, their beauty is well-worth the trip to see them! 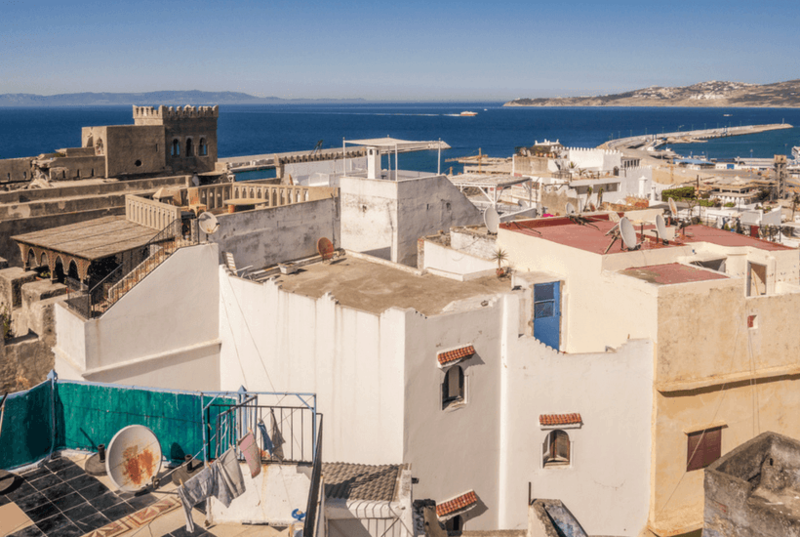 One of the must-see locations in Tangier is the Kasbah. 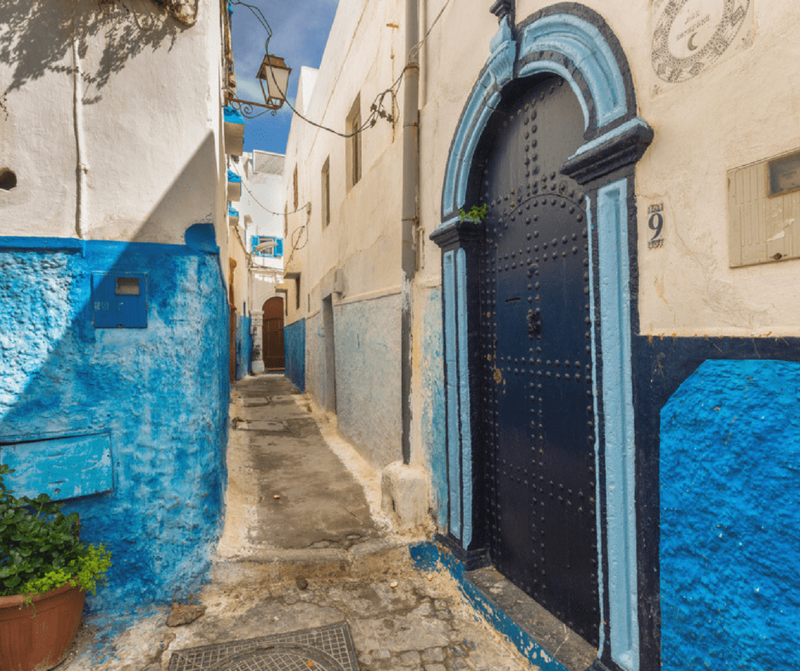 The old walled city is the quintessential Tangier experience, with meandering walkways leading from area to another. It is quite easy to get lost in the Kasbah, but getting lost is truly half the fun. There are so many amazing discoveries to be made, for one thing. You never know when you might turn the corner and find some incredible food that you’ll be dreaming about for years to come. Turn another corner and find the perfect bag or rug that you simply have to take back to your home. Keep heading uphill until you reach the top of the Medina where you will see gorgeous views of the city and the land and ocean all around. 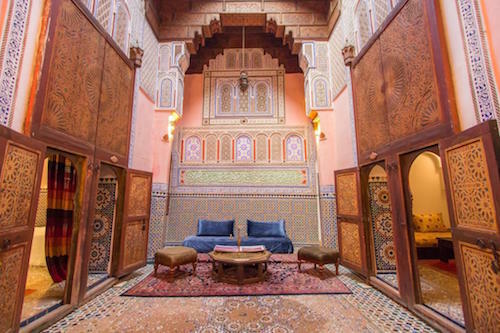 And if you want to see the Kasbah but fear getting lost, there are always tours available so you won’t have to miss out on this wonderful experience! The medina is a place where people live and work and it’s also worth a wander to experience daily Tangerine life. You should expect to find some hustlers but typically they mean no harm, they’re just trying to make a living. You’ll find a wide variety of goods for sale; from handcrafted Moroccan artisan ware to imports from around the world. One of the items you should keep a look out for are the red and white striped towels that local women sell. Also for sale are the wide-brimmed pom pom hats! If food is more your thing look for vendors selling kalinte, a chickpea type pancake that is great warm with some salt and cumin dusted on top. 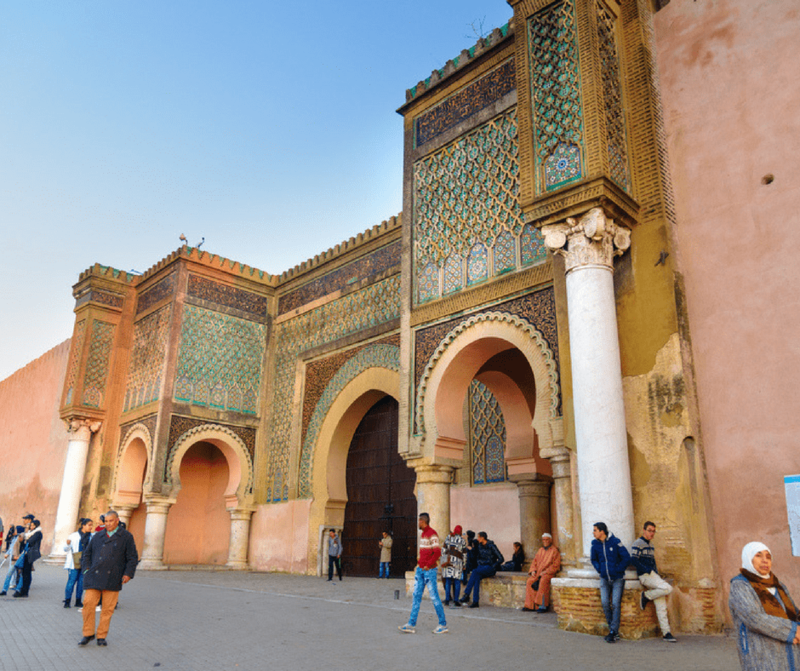 Did you know that Morocco was the first country to recognize the United States as a brand new country? They even signed a treaty together – the 1786 Moroccan-American Treaty of Friendship. And the American Legation is the first piece of American property to exist outside of the united states. The beautiful building is created in the Moorish-style stucco. 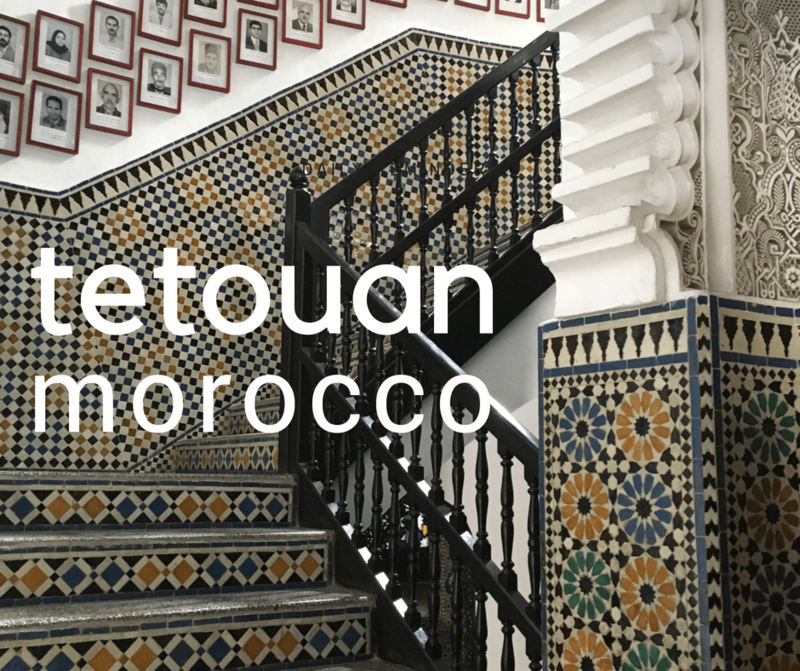 It was presented to the United States by Sultan Moulay Sulliman in 1821 and was home to the United States Legation and Consulate for 140 years. 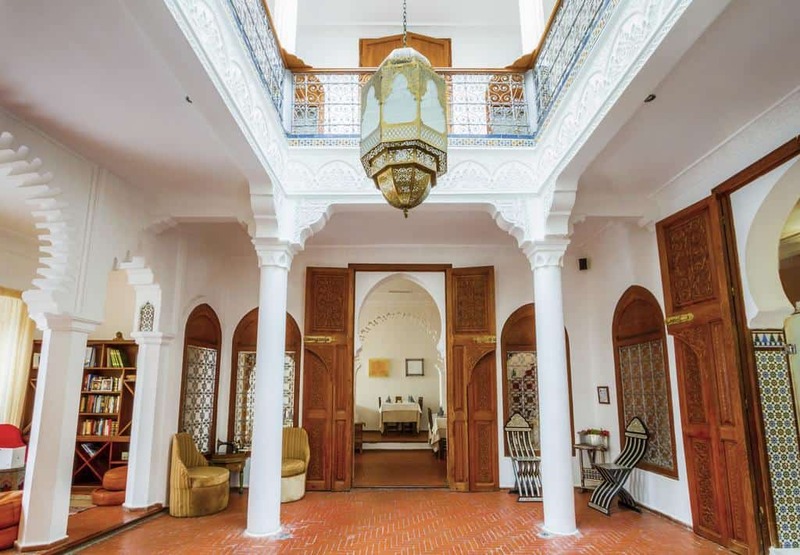 It fell into disrepair at one point, but today it is home to the Tangier American Legation Institute for Moroccan Studies and is also a popular tourist stop. Cape Malabata is a beautiful cape located six miles east of Tangier. 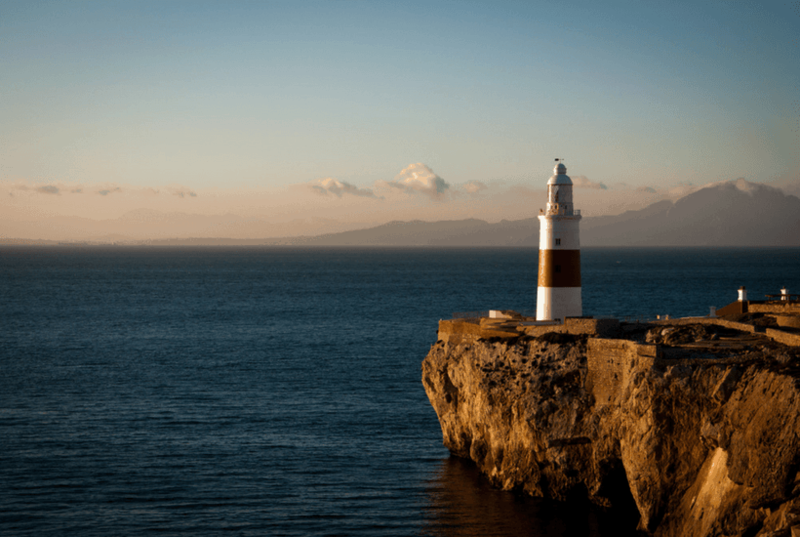 In addition to amazing views across the Strait of Gibraltar, the location features a lovely lighthouse. There is also a medieval-style castle which was built in the early 20th century. If you love lighthouses and a stunning view with great picture-taking potential, Cape Malabata is worth a visit. The Church of Saint Andrew is a lovely Anglican church built on land that was donated to the British community in 1880 by Hassan 1 of Morocco. 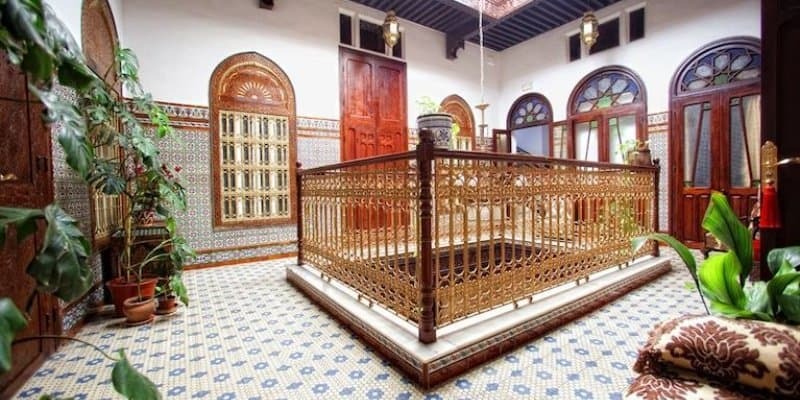 It was completed in 1890 and consecrated in 1905, the architectural style of this beautiful building is Moorish. The interior is decorated in high Fassi style and behind the altar is an area carved with quotes from the Quran, showing the direction of Mecca. Be sure to visit the graveyard where you will find the graves of a number of people from history – bankers, military people, and the British writer Walter Harris. One really interesting place to stop is the Fondation Lorin. This art museum is housed in one of the oldest synagogues in the city. The museum is devoted to Jewish heritage and features posters, photographs and other items of historical importance from Tangier since the 1930s. You will get a true sense of history as you look through these incredible exhibits and pieces of art found in this lovely museum. Truly, the atmosphere alone is worth the visit. 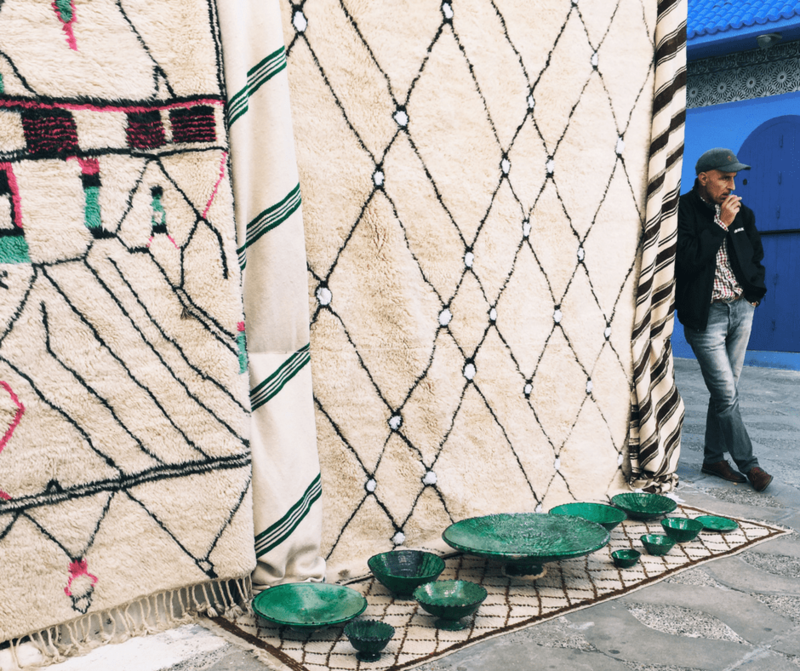 This modern art gallery is one of the most famous in Tangier. 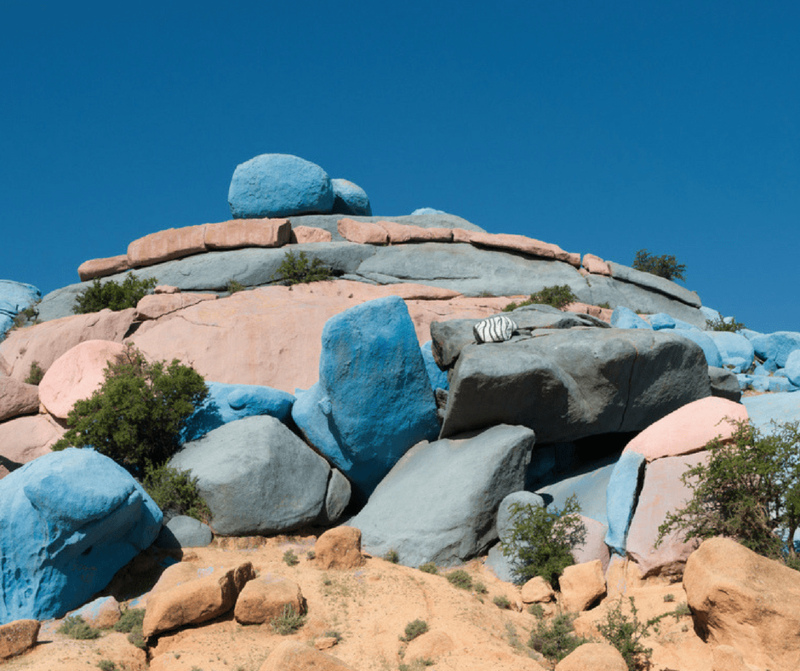 It opened in 1999 and has housed works by many well-known artists, such as Antonio Fuentes and Omar Mahfoudi. 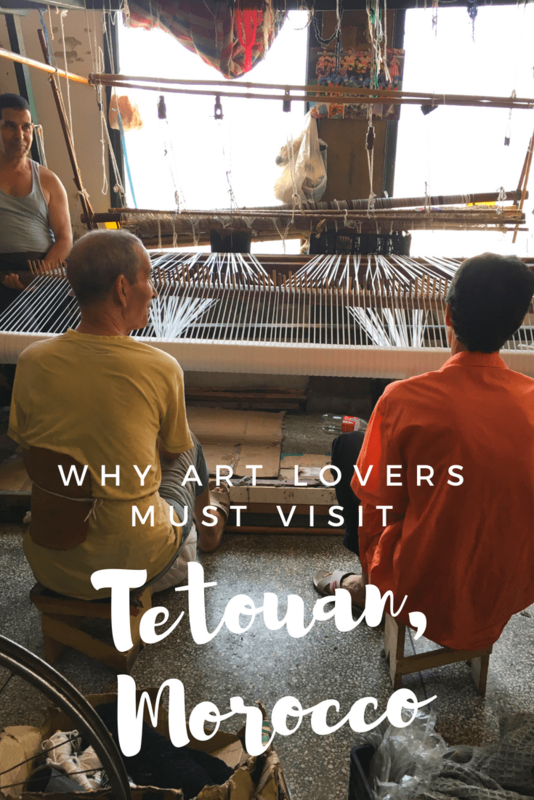 They are always on the lookout for new talented artists, so even if this isn’t your first visit to this Tangier Art Gallery, it is a great place to visit, again and again! 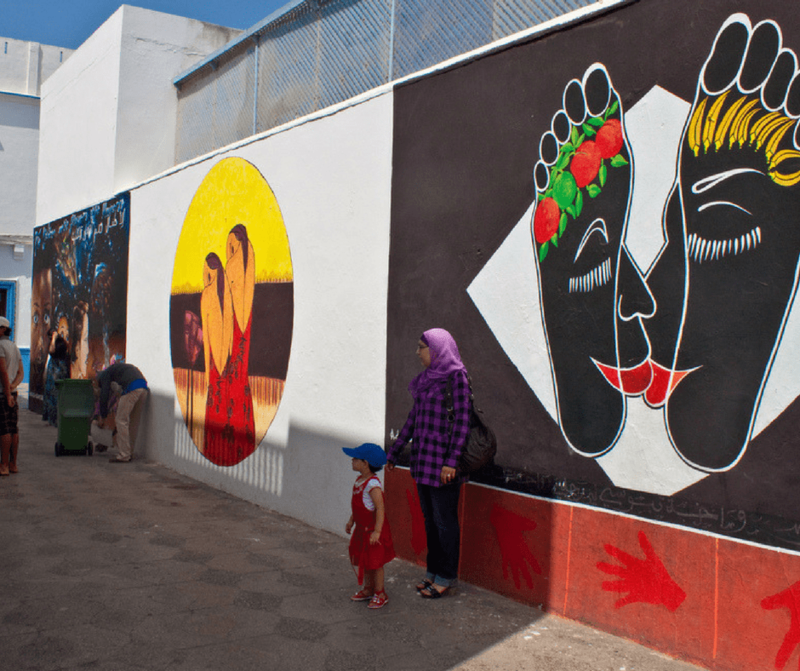 Another must-see for art lovers exploring the Tangier Medina – the Museum of Moroccan Art. Housed in a former Governor’s Palace which was built in the 17th Century, this beautiful place sweeps you back in time as you explore the incredible works of art. This place really is a feast for the eyes – from the colorful marble and glass mosaics to the art pieces like paintings and glazed earthware. You might want to allow extra time to thoroughly enjoy this wonderful place. 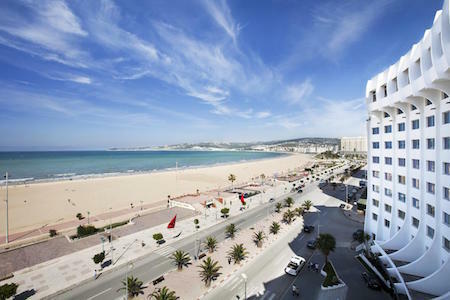 Since 2000, the city of Tangier has hosted an amazing international jazz festival in September. Called Tanjazz, it is well worth a visit if you love music and have been dreaming of an early Autumn vacation in Morocco. Held on the grounds of a beautiful Italian Palace, the gardens and fountains provide a charming environment in which to enjoy the music and rich culturally-diverse atmosphere. This festival is wildly popular and fills to capacity every year. So, if it is on your bucket list, be sure you book your visit in advance! 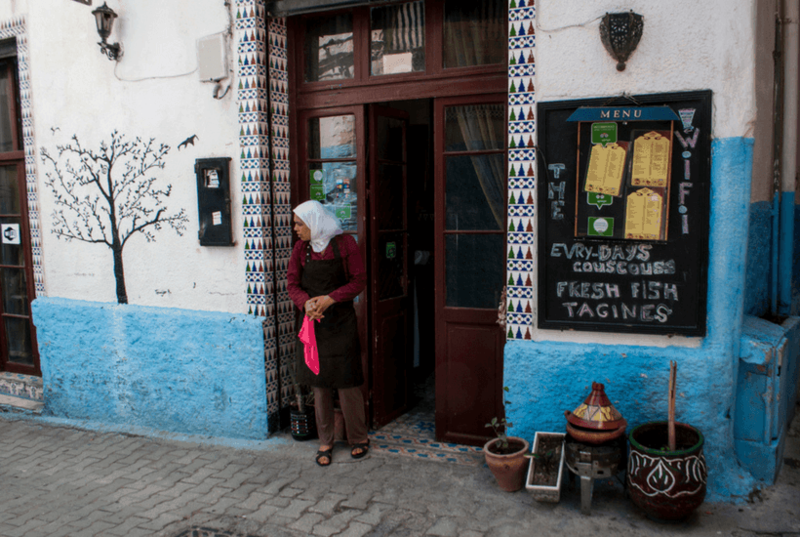 There are no shortage of restaurants in Tangier. There seems to be a place to eat around every corner. If you are seriously hungry, look for a place that the locals are. 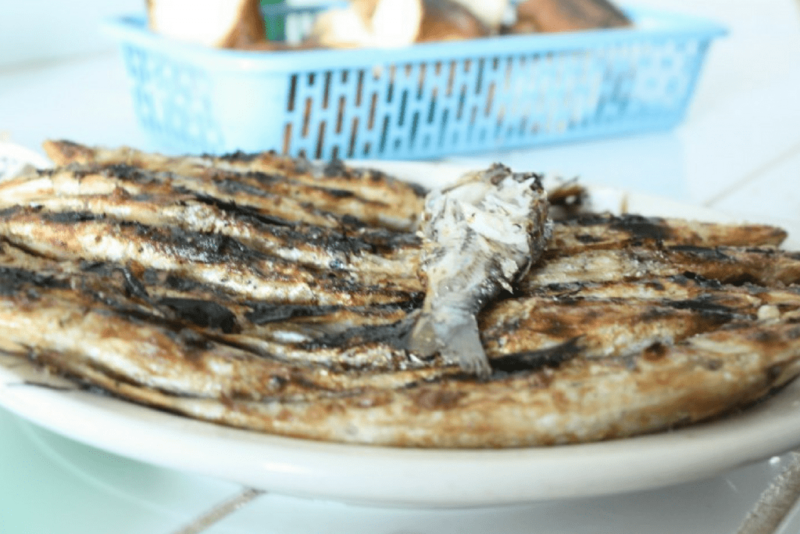 Due to it’s location on the water it’s no surprise that what to eat in Tangier is fish and seafood. There are of course other options but this is what will be truly local. That way, you’re likely to find something authentic and delicious. If you prefer to be at least somewhat prepared for where to seek out an amazing dining experience, you might want to keep the following suggestions in mind. The iconic Cafe Hafa sits on a cliff overlooking the boy. Known for delicious mint tea, it is even more famous as a place where many singers and writers of the early 20th century have spent time. The Beatles and the Rolling Stones are known to have visited, as well as writer William S. Burroughs (among many others.) Although the Cafe Hafa serves decent food (of course), but visitors mostly come for the history and atmosphere. 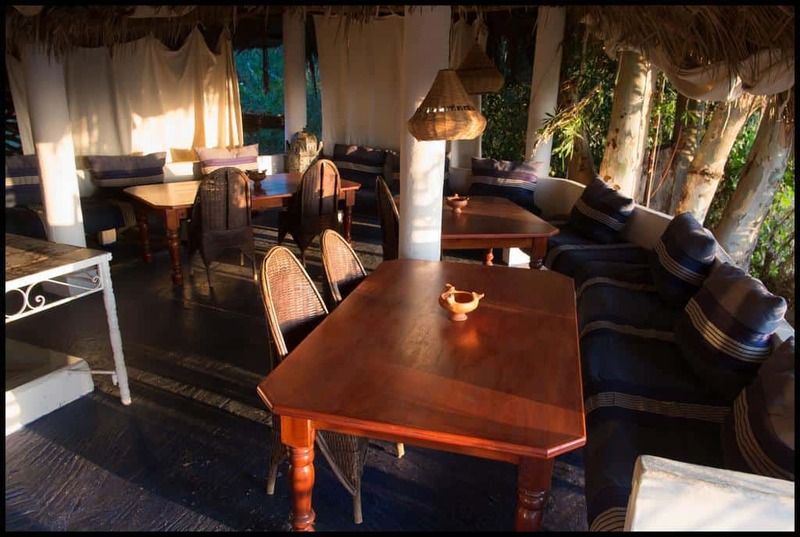 From the 1920’s style decor to the breathtaking views to the general sense of awe at knowing who else has eaten there, the Cafe Hafa is a popular tourist stop. It is recommended that you show up early if you want to make sure you have a place to sit. If you love fish and seafood, you should definitely find your way to this wonderful place. The popular restaurant is well-known, so you may have to wait for a table, but you will be treated to a feast that is well worth the wait. There is no menu here – you simply sit back in the homey and relaxed environment and enjoy the meal that the chef has prepared that day. The meal is not only delicious, it is a complete experience – from appetizers to dessert to the fresh homemade juice cocktail. Be sure to bring an appetite! 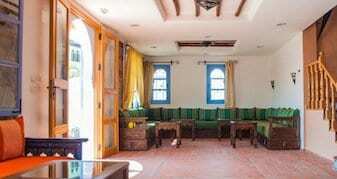 This popular restaurant features Moroccan and Meditteranean cuisine. Known for amazing traditional food at great prices, the Ch’Hiwat L’Couple offers everything from soup and sandwiches to couscous and tagines. Lots of locals bring their families to eat here, which tells you all you need to know about the quality and authenticity of the food they serve. If you are looking for a restaurant to make you feel right at home, you’ve found it! 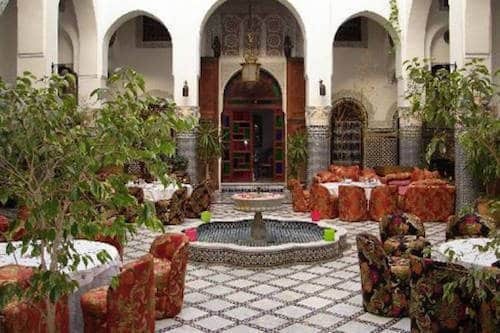 The Restaurant Al Maimouni is as known for its atmosphere as for the delicious food. Eat inside or enjoy a meal on the rooftop terrace instead. The menu has many great options for both meat eaters and vegetarians, and the food is fresh and authentic. This lovely place is located in a historic neighborhood of the Medina, in the heart of the city and is open and ready to feed you until midnight every day! The lovely Le Cappuccino is a contemporary cafe that is really popular with tourists, especially during the day. When you have a chance to try their delicious coffee, sandwiches, and amazing muffins and pastries, you will know why. The casual atmosphere is a great place to relax with your family or friends, too. You might need to be patient with service if you stop by when they are busy, but the coffee and treats are well worth the wait! The Atlas Rif & Spa is located just a short walk from the coast. 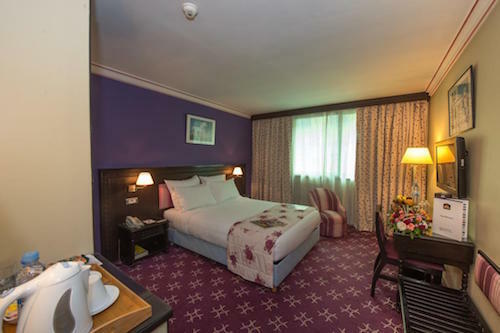 The spacious and comfortable guest rooms are private and have all the modern conveniences. 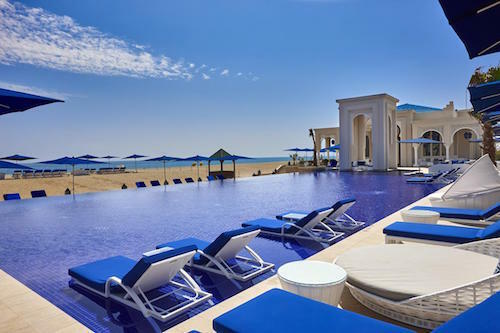 You’ll also find an on-site pool, spa, fitness center, garden, and a restaurant selling traditional Moroccan cuisine as well as other delicious offerings. They have free Wi-Fi available in the public areas of the grounds, and they also offer a lounge where guests can relax with a cocktail. 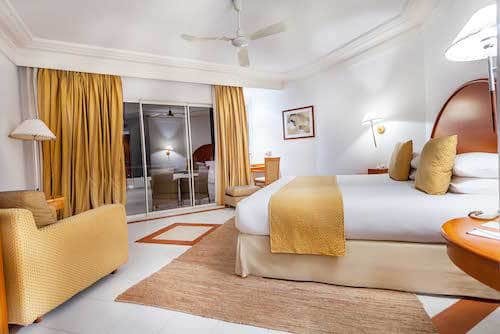 Satellite TV and air conditioning are available in all the rooms and suites, too, making it a comfortable place to relax indoors for a day if you decide you need a break from seeing the sights. 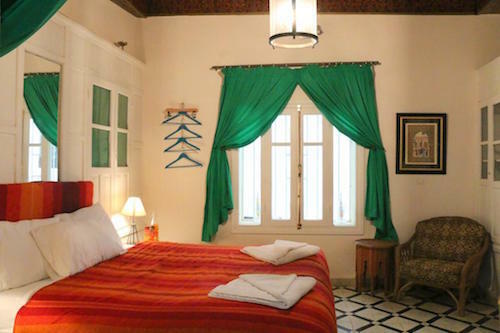 The Mnar Castle Apartment hotel is one of the most highly rated hotels in Tangier, and pride themselves on making their guests feel at home in every way they can. 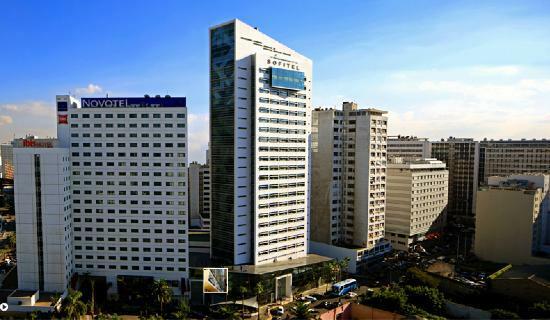 This lovely hotel is located ten minutes from the center of the city and offers luxurious apartments at surprisingly reasonable prices. 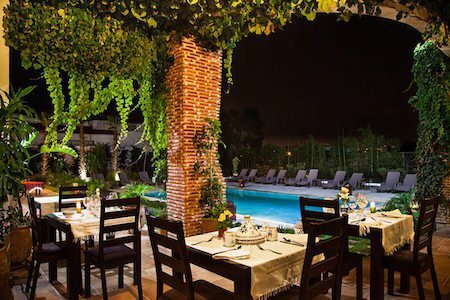 Enjoy a pool, gorgeous gardens, roomy accommodations, and delicious food in the on-site restaurant. Be sure to book in advance to score the best room rate you can. 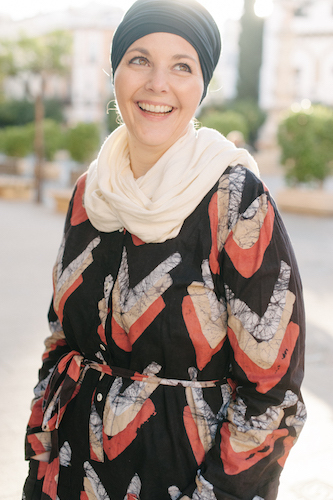 Dar Tanja is a cut-above in every way. 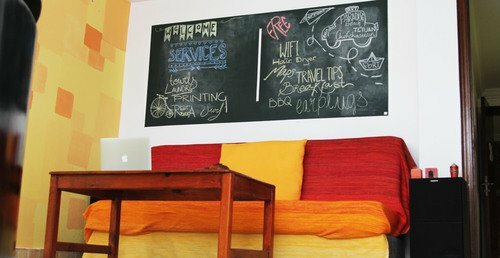 This gorgeous guesthouse is luxurious and comfortable, offering the perfect combination of the modern and the traditional. The warm atmosphere is rich and comfortable, inviting you to find a nice place to just sit and relax with a good book for a while. If you prefer to be outdoors, there is a lovely garden to enjoy and amazing views of the Strait, as well. 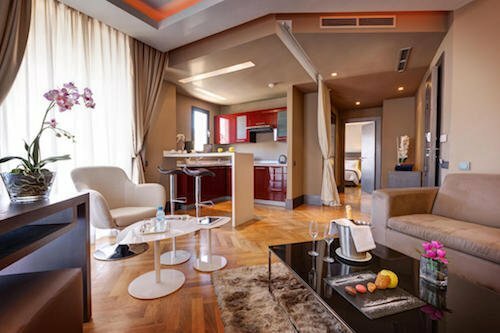 If you are looking for clean and comfortable accommodations with all the modern conveniences at a reasonable price, the Kenzi Solazur is worth a look. 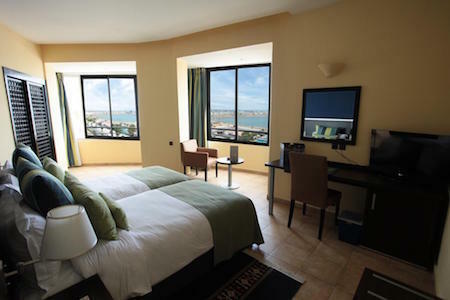 Located a minute from the beach and overlooking the Strait of Gibraltar, this beautiful hotel features contemporary-style rooms and suites with all the modern amenities. Spend time in the outdoor pool, lounge in front of the satellite TV in your room, or hang out in the on-site nightclub and enjoy a drink. 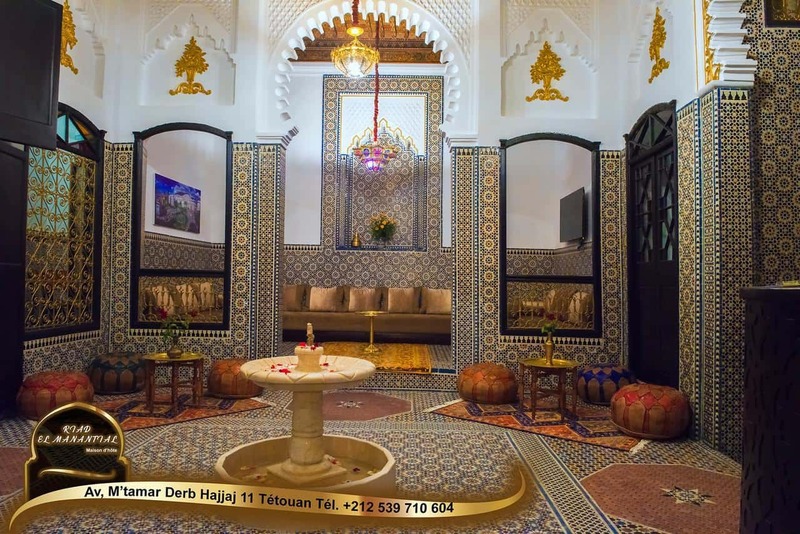 But if you are looking to get out and see the sights, the Kenzi Solazur is in the heart of Tangier, within easy distance of just about everything. 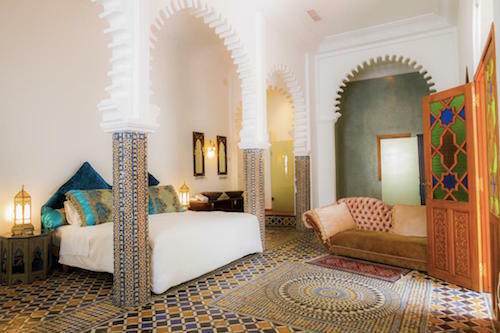 And when you get hungry, you have the choice of three different on-site restaurants, with one serving delicious, traditional Moroccan cuisine. It can be a bit intimidating to visit a new place, especially when it is a city as large and busy as Tangier. If you’d like to see the sites with the help of a tour guide, this full-day sightseeing tour might be just what you’re looking for. 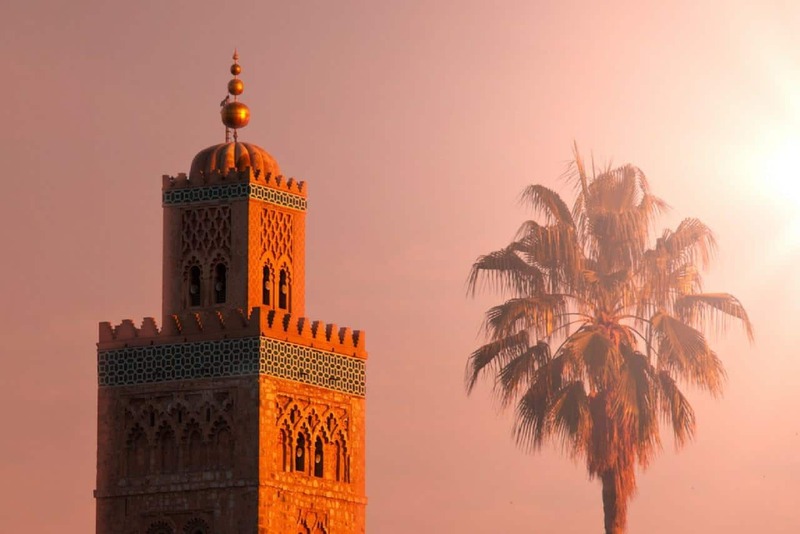 Not only will you enjoy the city, Kasbah, and Medina while guided around by an English-speaking tour guide, you’ll also get the chance to visit many of the historical and geographical landmarks in the area. And your transportation is an air-conditioned minivan – a welcome escape on a hot day! For a different kind of “tour” and an amazing hands-on experience, consider booking a Cooking Lesson while you’re visiting Tangier. 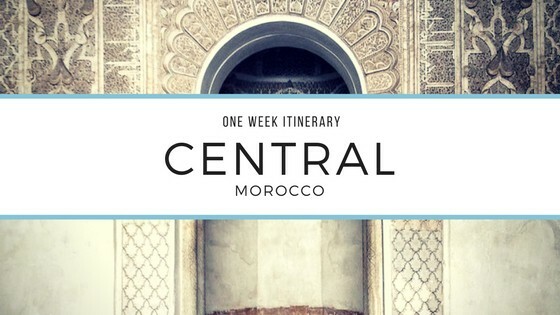 You’ll learn some delicious ways to prepare traditional Moroccan cuisine while also getting to eat some of the best food you’ve ever imagined. Best of all, after enjoying your amazing experience, you can take your newfound skills back home to share some amazing homecooked Moroccan cuisine with everyone that you love. That’s one of the best ways to make your vacation memories last forever! 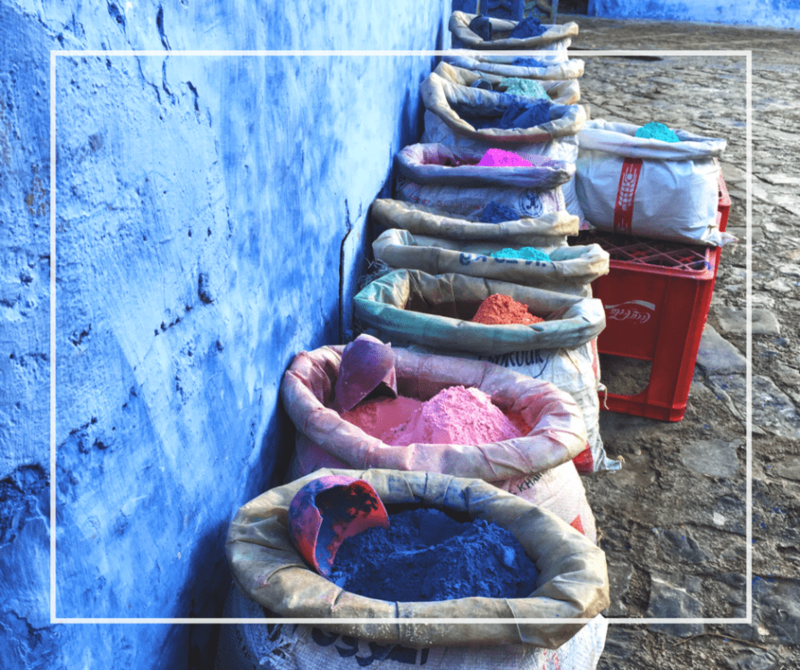 If you are spending several days in Tangier and can spare the time, consider making a day trip to Chefchaouen. 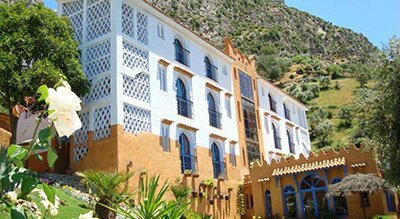 This beautiful village in the Rif Mountains is known for being charming and picturesque, and if you have the time, it is well-worth seeing. If you aren’t comfortable going alone, there are great tours available. 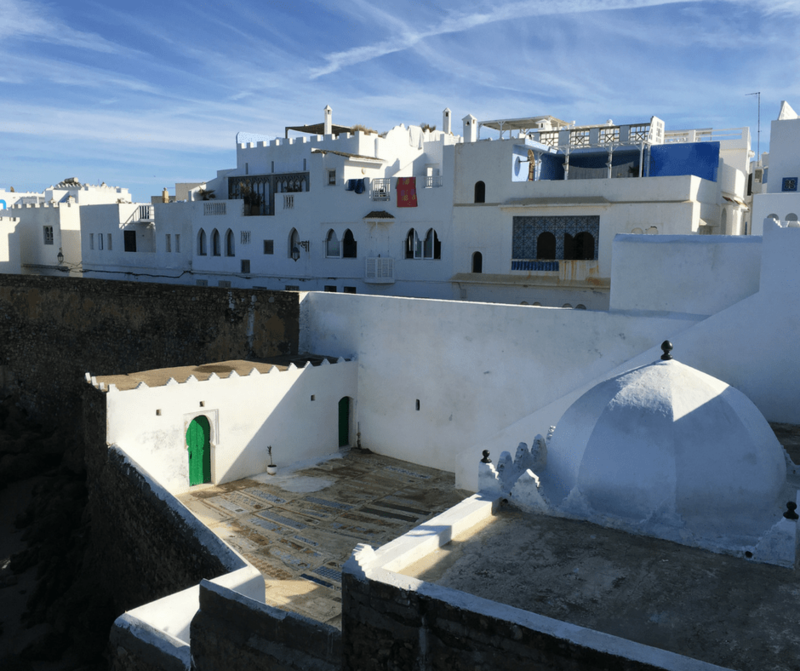 Heading to Tangier but not on a cruise? This tour will take you to see the major sites of the city along with a guide who can explain the history and culture of the city in detail. The tour is also private so you’ll be guaranteed that only your small group will be on the tour leaving you the ability to pick and choose what you do and see. Just the journey to Imlil can take your breath away. The road is twisted and interesting, much less frequented then other Atlas mountains’ valleys in the Marrakech area. A glimpse of the small berber villages, the lazy river and the walnut tree leaves shining in the sunlight will be the beginning of your trip. 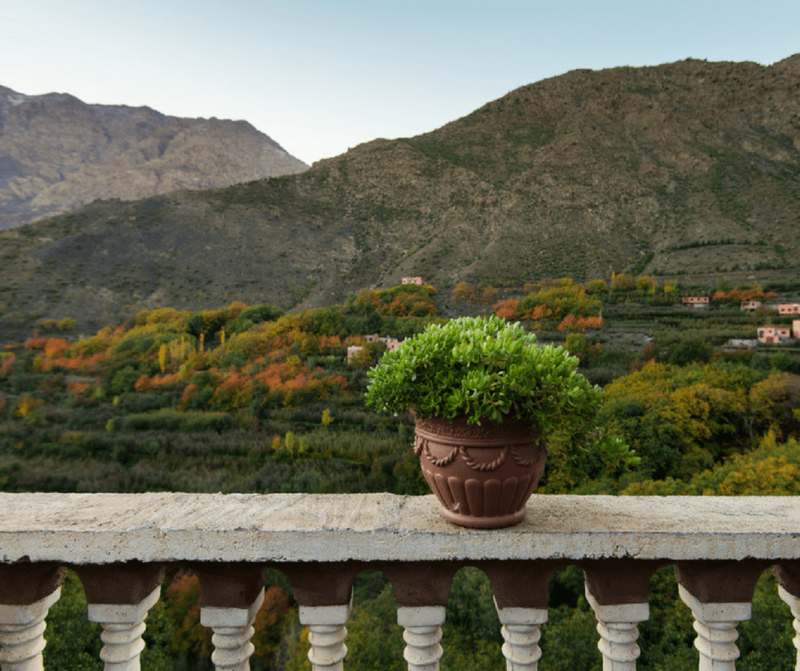 This mountain village is often the starting out point for people who are climbing to the top of Mount Toubkal. It’s also an excellent base if you simply want to enjoy hiking in the region. 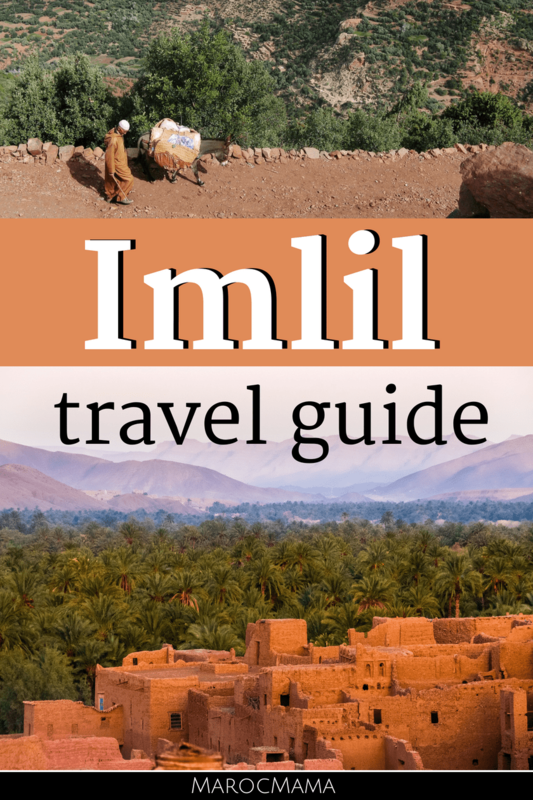 There are regular drivers that can take you from Marrakech to Imlil via private transfer. The rate will vary depending on if you want a one-way transfer or the use of the car for the day. 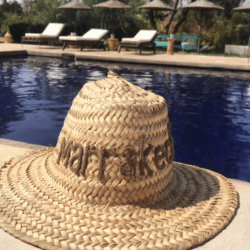 If you’re on a budget the best way of getting there is to take a grand taxi (shared cab) from Marrakech. It is only about 3$ for a seat and a great, authentic experience. If you would like to actually climb Jebel Toubkal there are few things you have to know. Don’t get fooled by all the travel guide books describing the climb as an easy one! It is not! But it is doable and very interesting! The nature, the landscape, the people. On the way to the top of the mount there is a holy place called Sidi Chamharouch where one of the local Muslim saints is buried. 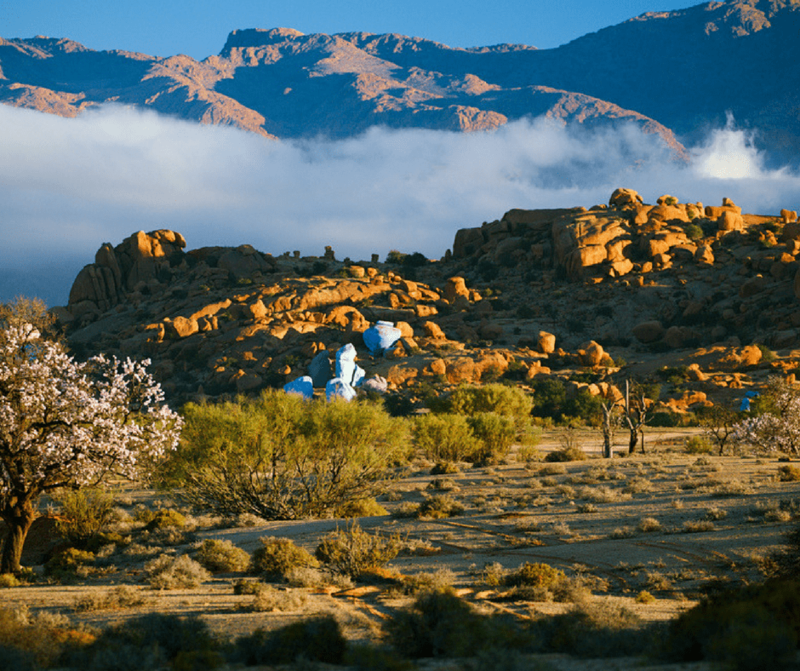 Moroccan families choose the place as their pilgrimage destination. It can be a very profound and positive experience to interact with the pilgrims who are very often climbing wearing flip-flops! The best thing to do is to have a mountain guide who will take care of your food supplies, accommodation/refuge booking, mules etc. 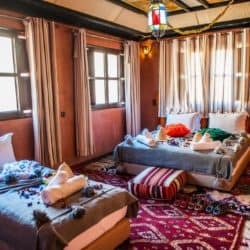 If you decide to stay at Lahcen’s guesthouse (see where to stay), he is also a licensed mountain guide who can make your trek really memorable for a very reasonable price (around 45-55$ per day per person, food, transport from Marrakech, guide services, accommodation included). If you decide to organize the trek by yourself, during the high season (May-September) you should contact the refuge to make sure to have a place to sleep ([email protected]). The path is not very well indicated, but if you climb during the summer you can be sure that you won’t get lost as there is a lot of hikers. It is NEVER advisable to hike alone in Morocco. You should ALWAYS take a guide with you as conditions can very quickly change. The first part of the hike is a long climb to the refuge (5-8 hours). On this first stretch having some change on hand is a good idea as you’ll find plenty of locals selling fresh orange juice and some other beverages on the way up. However the further you get this will taper off. 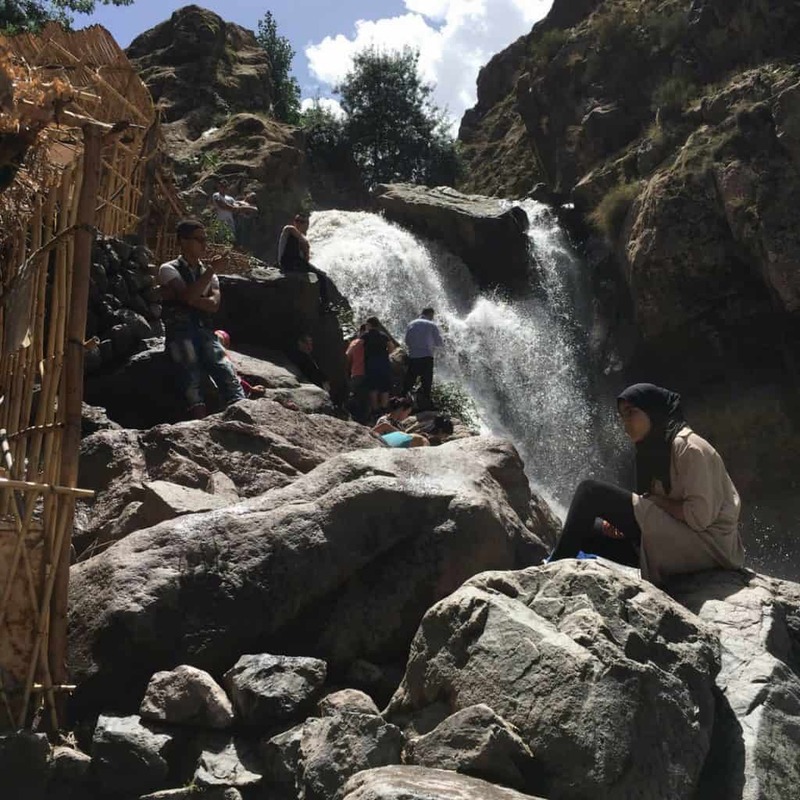 If you don’t feel motivated enough to spend 3 days hiking to Jebel Toubkal, there is several shortest trekking paths in the region. There is also a beautiful waterfall is located just 30 min walk from Imlil. Whether you choose to do a long or short hike a great company to reach out to is High Atlas Hiking. The company is staffed by local, licensed mountain guides. They can help you arrange a single day experience up to a week or more (and everything in between). Because they are locals they know the area well and can be sure you’re experiencing the best the area has to offer. 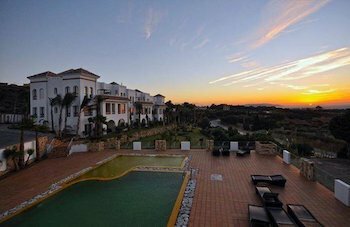 There is also horse back riding, cycling or simply sitting back to relax on one of the roof terraces while sipping some Moroccan mint tea and enjoying the landscape! While in Imlil, the goat and lamb barbecue ribs are a real treat for all the foodies. The cherry season is in June and the walnuts are available in September-October! Simple food and beautiful nature really define this region. You’ll also find several “snack” shops that sell things like shawarma and pizza. 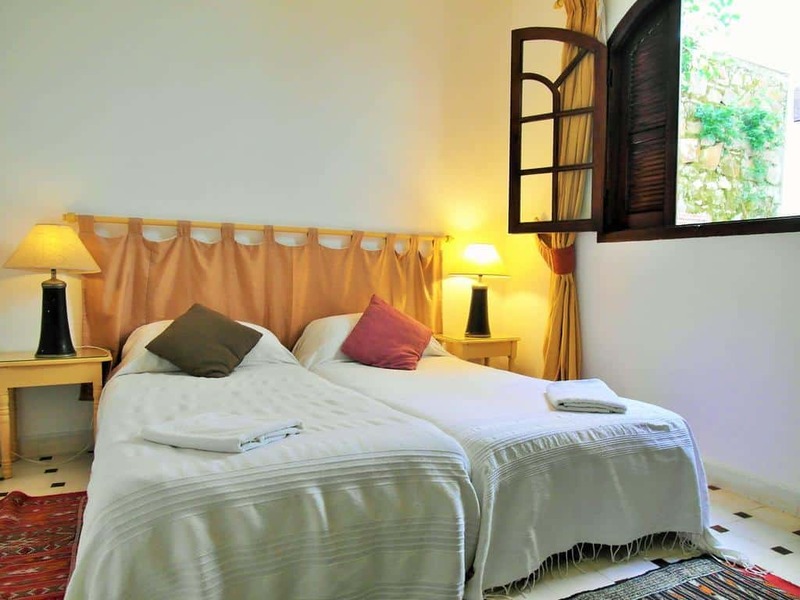 But for great Moroccan food you’ll want to check out what your accommodation offers. Many also provide meals for those visiting just for the day. A fantastic location in Imlil with terraces in the rooms and a welcoming staff that makes you feel at home. There are easy treks available from the hotel or you can book longer 2 or 3 day hikes if you’d like. 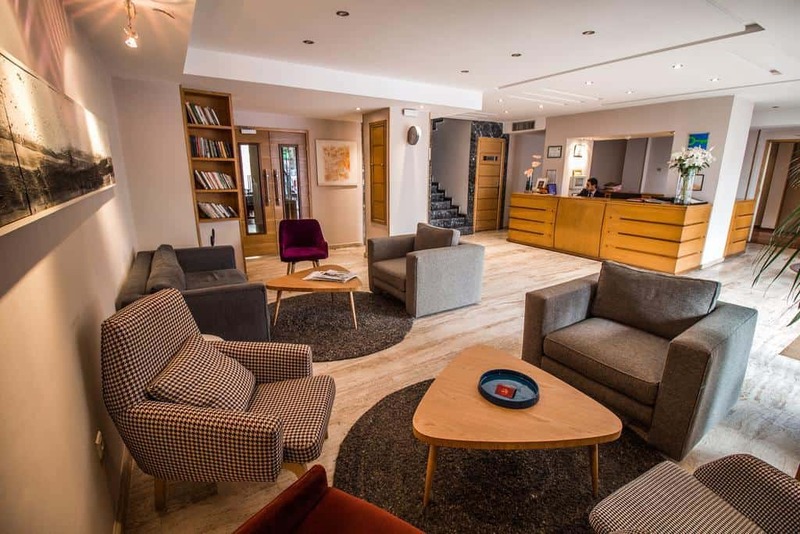 A good choice for winter visitors who want to engage in cross country skiing, the hotel is equipped with ski up access. Request a room with a valley view for really exceptional views! 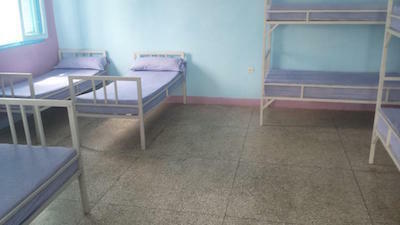 For budget travelers looking simply for a place to spend the night that is clean and comfortable this is a good option. Owners are well versed on local hiking trails and can arrange for guides or guide you themselves on hikes! 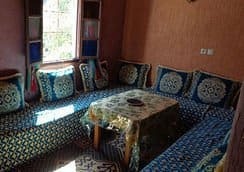 Check out Lahcen’s house (+212 666 57 26 38, around 80 dh per person per night, homemade meals on request cooked by Lahcen’s lovely wife – one of the best breakfasts I have ever had), beautiful view of the valley, rooms with private or shared bathrooms). Before getting to Imlil you’ll likely be in Marrakech. In this destination guide you’ll find everything you need to have a successful trip. 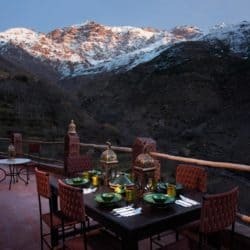 Seeking another Moroccan mountain destination? 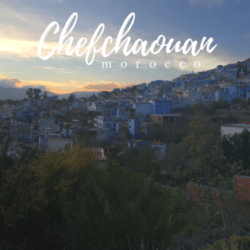 Chefchaouan may be what you seek. A small village with good local hiking options but in the north of the country.